This is an abrupt change to your home circumstances. Possibly a property you hoped to move into encounters delays; such as building projects, for example. A secret comes to light in relationships, which may be shocking. 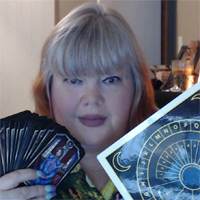 It is time to let go of old ways of relating in your relationships You may also experience an intense physical or sexual attraction., that will have a huge impact or your otherwise orderly existence. In business, there may be restructuring or a leader may be ousted from their position. 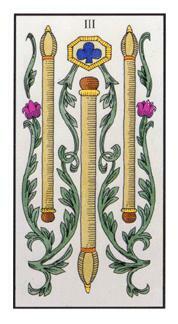 Lucky for you Dear Taurus that the 3 of Wands is one of Tarot’s ‘Good Fortune’ Cards. It reveals successful enterprise and seeing your efforts thrive in all areas of your life. It is a great indicator for weddings as well as a new, important relationship. This will be a busy month for you, so be prepared to be inundated with texts, messages, calls, visitors. You may find yourself on a trip that you had been hoping for that you have nurtured and longed for. It is a great time for communication and expression through art or sport. You may also feel drawn to unconventional people and projects. Take pride in what makes you, you. All of your little quirks. Let others see all that you have to offer, rather than fragments. You will gain more confidence and even admiration. You are very special and unique after all. Try to take the time for friends who do not fit into your immediate plans. You will be happy you did. It looks like this will be a month of endings for you, my Dearest Gemini. 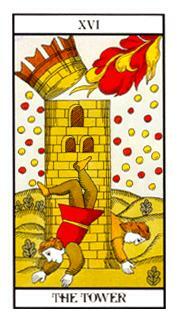 The energy of this card is ruin and as a Gemini myself, we definitely do not want that has it sends us in a tailspin! This will be sudden and it has a history. This is not an act of God, but the natural outcome of a culmination of events that will lead to inevitable change. This ending clears the way for new possibilities and you just may find that the finality of it releases you from so much frustration and stress (and we have had a lot of that lately). Friendships may end and there is no turning back. You may find in the end, that these people really were not suited for you. There will be dramatic endings in love and work may manifest as a closure of a department, leading to job loss or a failing business. On a positive note, soon the upset will be over. Health issues such as low energy and exhaustion will improve. 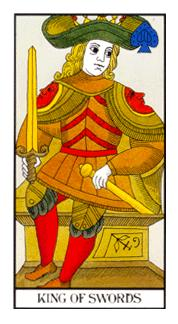 Progress and determination carry you through the month of January Leo! 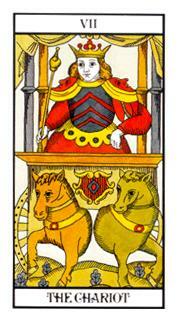 The Chariot signifies success and major departure (I like to think a new car too, to depart in). You have made a decision and now you can experience real progress in your affairs. It is time to take control and navigate your path. 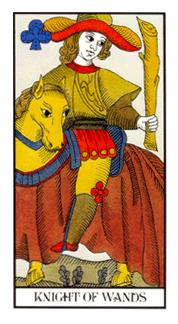 Just as the charioteer uses his wand to drive him onward, you will need willpower to fuel your desires. The Chariot can indicate movement or an important journey and has I had mentioned, it shows you driving a car on your travels or getting a new vehicle. In your home life, travel away is the focus now or you may welcome travelers from other states or countries. Disagreements in your home will quickly resolve. Relationships will progress at a pace. There will also be swift progress in business affairs and financially, you are on the road to success. Proposal anyone? Everything begins to speed up this month Virgo! 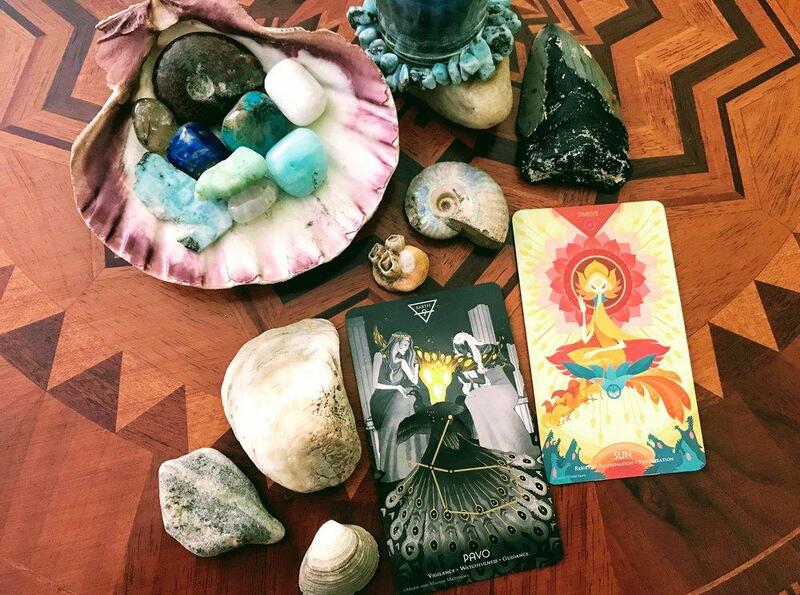 Any blocks you have had will be lifted, so if you have been waiting for decisions or have been feeling stuck, you can now have the conversations and the action you need to move projects forward.. Follow your intuition and push forward. This card is very auspicious for moving house, finding new work and making progress on personal and professional projects. Knights appear to predict a successful writing project. You may even attract acknowledgment and support, both emotionally and financially. Travel is also an additional meaning of the card and emigration as well, if it applies to you, this month. Loss, leaving and sorrow. My goodness this is looking like a rough month for many Tarotscopically! 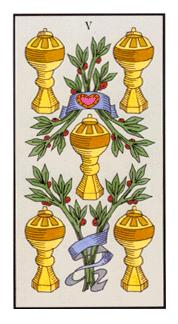 The 5 of Cups is card of upset and loss. It brings sadness and confusion due to a breakup, disappointment or arguments in a close friendship. You may even feel the need to temporarily move away from a family member who has caused hurt. You may also decide to leave home or a job before you are ready to do so. You will be forced to deal with whatever life throws your way, whether you asked for it or not. A loss of money or status is also indicated. The gift of the five is that there will be no denying what has happened, because you are going to feel this in every bond of your body. There is no going back. All is not lost. You are going to be able to move onward and upward regardless. 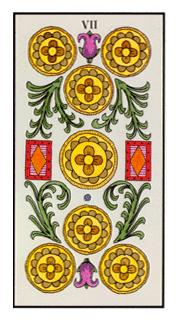 The two remaining cups in most decks show support of friends and family. You may also suffer bereavement and a natural sense of loss and grief. You may be trying to assimilate old stress and sorrow in order to make a fresh start. 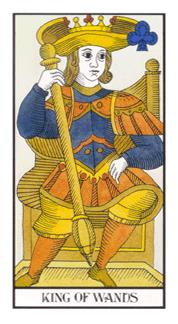 Thank you very much Scorpio for getting us all out of a huge state of sorrow with your fabulous card! 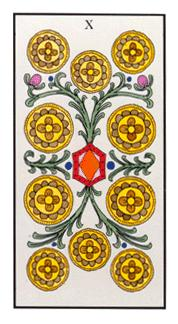 The 10 of Pentacles is about property, family, inheritance and even love. You should enjoy great generosity and a love relationship that just may bring you wealth and happiness! If you wonder if your current relationship is committed, your answer will be a yes! A wedding may be occurring this month, especially with couples who share similar values and have similar cultural backgrounds. What is fantastic is the families even like each other! Wow! You may inherit property, buy a second home or extend a current home. You will also benefit by sharing your resources to help each other out in family or those you feel very close to. This month is about maturity, even on financial terms. Emotional investments are also indicated this month. Listen to the older people in the family; they will have some vital wisdom to offer in addition to resources. It is so hard to say goodbye, but it looks like you will be making a departure this month. There are going to be changes and you will become wiser as to what no longer serves you emotionally. This will be a month of restlessness and you will feel as if something is missing. Work and relationships may appear fine, but there is just something in your intuition that is nagging you. The result? Your departure. This is all about leaving a situation or breaking an agreement that no longer gives you fulfillment. Make sure you are not being hasty. Only move on when you are absolutely sure that there is no more to gain or contribute. When you have rode it till the wheels fell off. There is also less drama this month than you would expect. On most cards it shows someone slipping away into the night. Naturally, you will feel sadness, but very little regret. It is time to go with the flow. 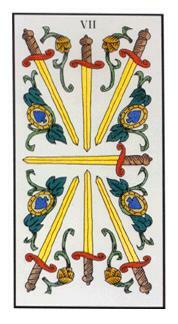 You will have regained energy and ready to move on to where your interests and curiosity calls you. You may have already left a situation emotionally and action will follow as you take an actual leave. Yu may take time to travel to explore physically or go through a spiritual journey. You go Capricorn! This month brings you great potential for success! Just look at all of your greatness before you! There is a goal in sight and you are so close to achieving it! Still, it is not the time to stop and reflect. This is a month for doing and not thinking, so keep your focus on what you want and believe you can achieve it!The effort may seem relentless but your hard work will pay off. The need to keep the focus on your career goals or work through a tedious project will leave you tired and deflated. You may get worn down from it all, but the reward will come as long as you do not falter. You may also be saving for a home or business. In your home environment, there may not be enough money left for little luxuries that make all of effort of saving worthwhile. Whatever the situation, keep going – you are nearly there, and in the future, you will thank yourself for the dedication. An honorable man he was…..yes indeed! 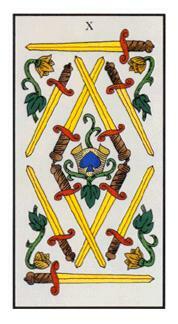 The King of Wands speaks of honor. It is time to express your ideas and be the fantastic individual you are. Summon your entrepreneurial spirit, make a lan, and what you propose will be received! The practical support you need will be there, but you are going to have to be the initiator. What you do right now will reflect your truth. Do not let perfectionism get in the way of your creativity. What you do this month is more than good enough! Strong will, ambition and even divorce may be the focus of this month Dear Pisces. It is time to break out of your shell and tae charge! 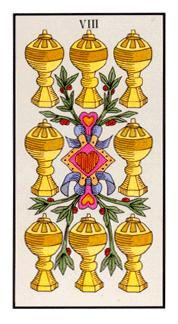 The focus of this card is on the mind rather than the heart. You may go through an intense time of work or study. In relationships and domestic affairs, it is time to take initiative. You amy meet a very seductive man at work or through professional connections. You will find him in powerful roles such as a judge, armed forces or law enforcement, to name a few. He must be able to make decisions that make a difference and you as well may be required to make such decisions this month, Dear Pisces. You can do it! 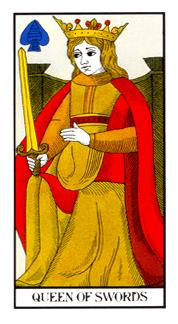 This deck as a whole, leave much to be desired and our powerful Queen seems a bit depressed, the the true energy of this Queen is about independence and incisive. This month is about getting the truth. Examining the motives of others to get to the truth of a matter. Learning from life experiences and hurdles that we have had in the past and becoming stronger because of them. We will still be willing to take risks on new experiences and relationships. We will not have much tolerance for fools, but if we trust someone, we will trust them completely. We have made our own way on the world. If you are a single parent or woman, pat yourself on the back. This goes for men and women in the single parent department. Stay determined everyone and above all, stay strong. Strength in adversity! If you are ready to find out what’s in store for you this upcoming January and in 2018, reach out directly to Advisor Christine today. She has nearly 40 years of experience doing this work and it brings her happiness to help others.